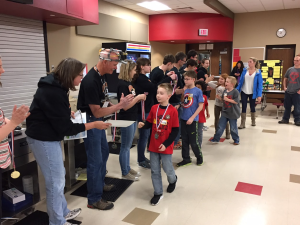 FIRST Robotics Competition team 525 Swartdogs had a great end of the year. 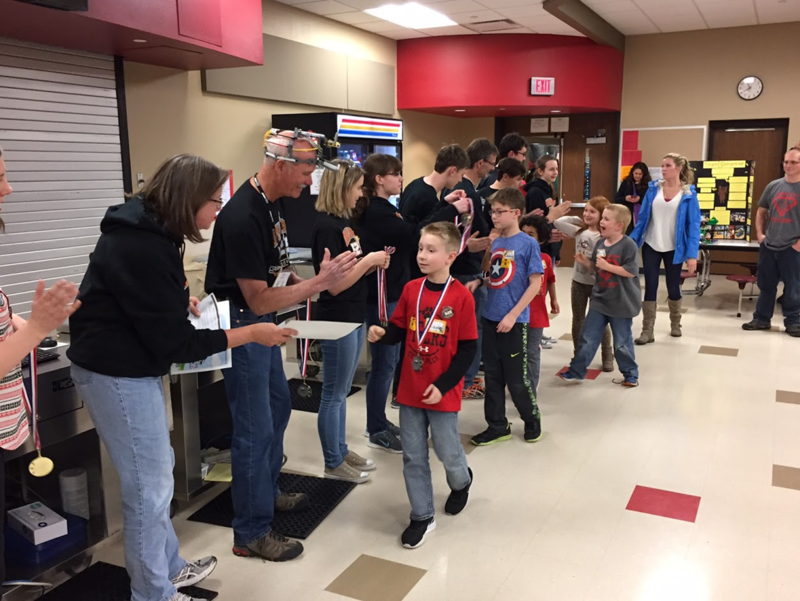 We started the month of May by participating in our school’s Extended Learning Program (ELP) Extravaganza, a fair for Cedar Falls School District’s Talented and Gifted (TAG) program. We demonstrated our 2017 robot, Miguelito, showing it place gears, shoot fuel, and climb the rope. We also allowed children to get a closer look at the robot, see how it worked, and look at the controls once it was turned off. 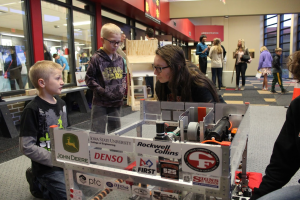 We also showed videos of the robot at Regional events and pictures of past robots along with offering a sign-up sheet for anyone interested in joining the team. In addition to the demonstration, we ran a FIRST LEGO League Jr. (FLL Jr.) Expo. Four FLL Jr. teams displayed their show-me boards and LEGO displays. 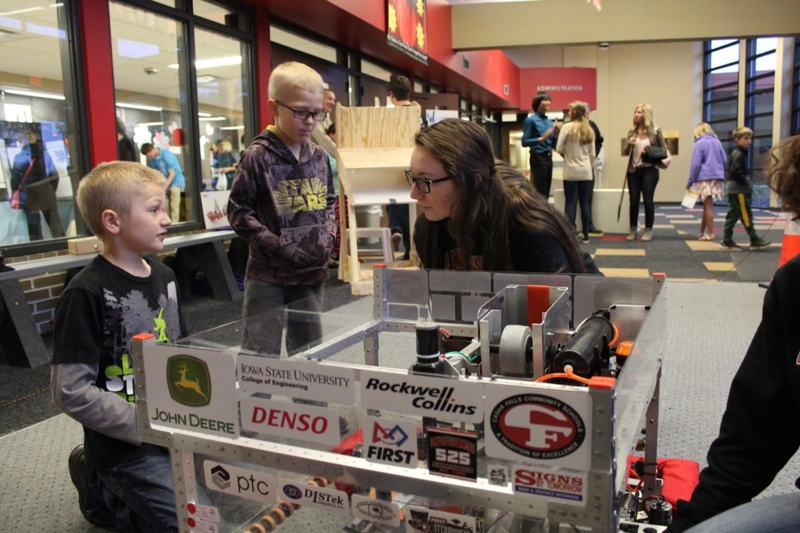 Some of our students served as student ambassadors to these teams, giving the teams the opportunity to see our robot in action along with the ELP Extravaganza. In May, we held our end of the year celebration. Due to bad weather, we decided to move it indoors, but we were still able to celebrate our amazing accomplishments and the memories that we had from this year. Varsity letters were handed out, and Dean’s List Award Nominees and seniors were recognized. The celebration also included fun socializing and games of ping-pong and ultimate Frisbee. Overall, Swartdogs had an amazing 2016-2017 school year and cannot wait for the possibilities that this summer and next year will bring.